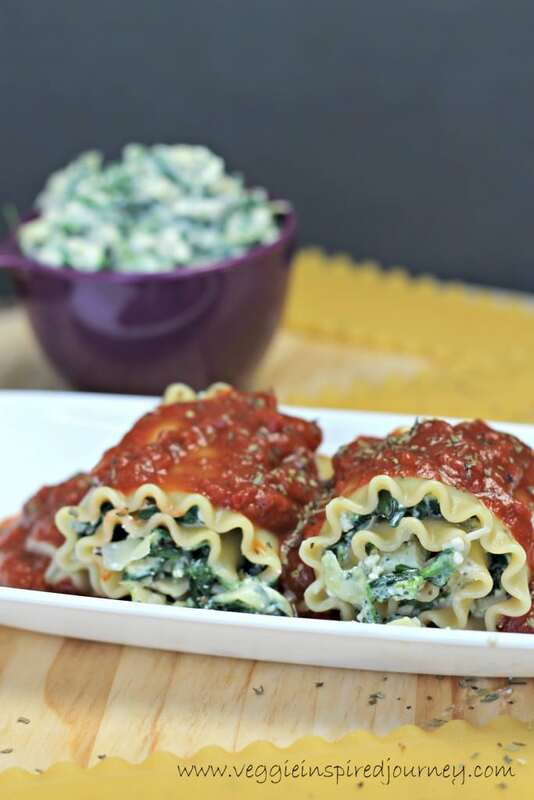 Spinach Artichoke Lasagna Rollups – A dairy free version of classic comfort food. I don’t know many families that don’t have a lasagna recipe of some sort in their menu rotation. It’s one of those comfort meals that brings everyone together. It pleases adults and kids alike. You might think that eating a plant based diet doesn’t leave room for such cuisine. Lucky for you, it does! I changed up the classic just a bit here by rolling up the filling in each individual noodle. 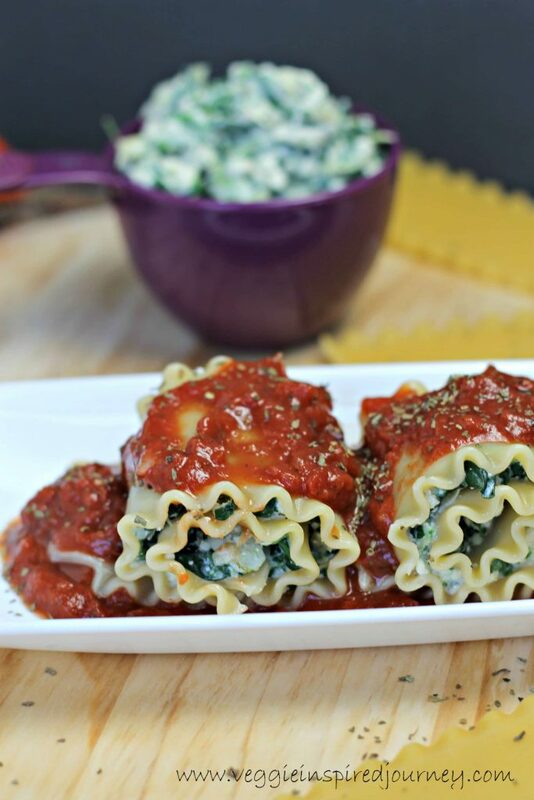 These Spinach Artichoke Lasagna Rollups are sure to hit the spot! This recipe takes a few steps to complete, but they are all really simple and fairly quick. There is a white “alfredo” sauce, a spinach artichoke filling and a marinara sauce. Normally, I would tell you to use silken tofu in the white sauce, but since we are only using half of a block of firm tofu in the filling, I suggest you just go ahead and use the other half in the white sauce. This way you don’t end up with 1/2 blocks of each leftover. In a good blender, it’s gets super smooth and you won’t know the difference anyway. You will end up with leftovers of the white “alfredo” sauce. This is not a problem! Use your leftovers on fettuccine, in soup as a creamy thickener or in casseroles as a “cheesy” element. 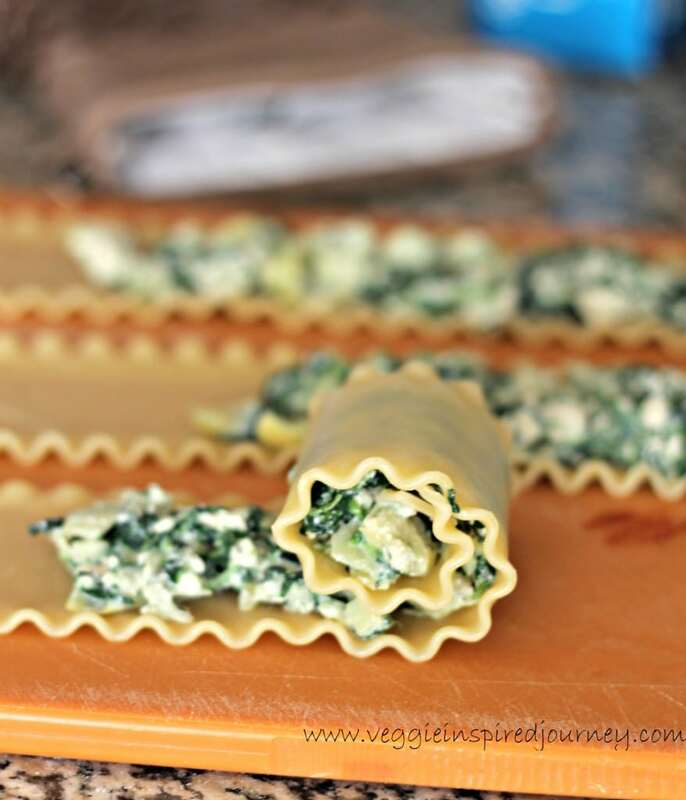 It also will freeze really well if you want to store it for the next time you make these rollups! You may also have a little marinara leftover, depending on how much you like to use. Again, it will freeze well, so feel free to save it for another time. Or add it to soups or chilis, top a baked potato, pour it over spaghetti noodles, dip garlic bread in it, add some oregano and turn it into pizza sauce, etc. So many ways to use marinara sauce! 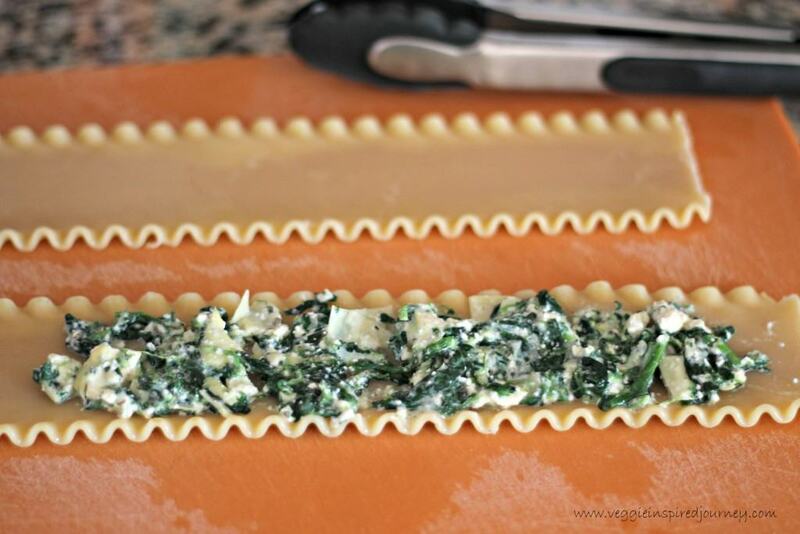 I hope you love these Spinach Artichoke Lasagna Rollups as much as we do. If you try them, please come back and leave me a comment below with your feedback. You can also find me on social media. Be sure to tag @veggie_inspired and #veggieinspired so I’m sure to see it. Enjoy! 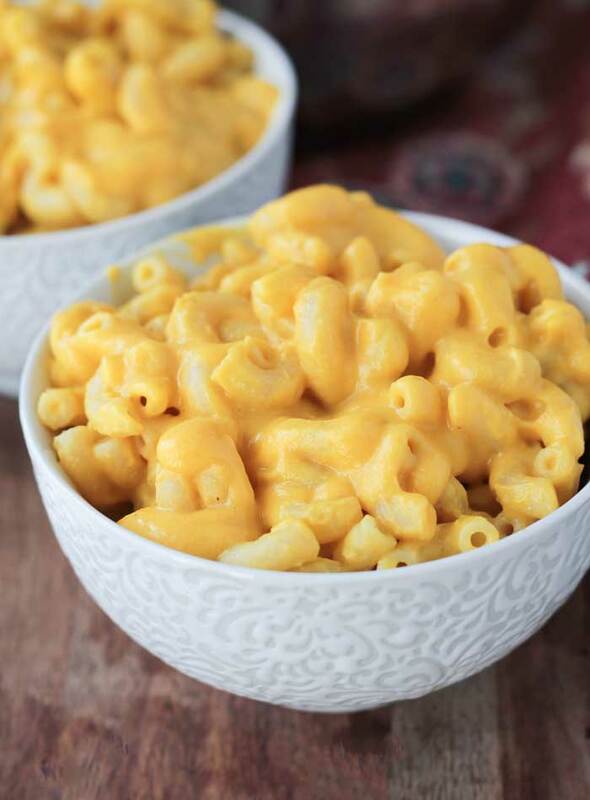 A dairy free version of classic comfort food. salt and pepper to taste (I sprinkle it all over the top of my sauce...not sure how much that is). Bring large pot of water to a boil for the noodles. While the water comes up to a boil, start your marinara sauce: Saute the onion and garlic in 1 tsp extra virgin olive oil until softened. Add the tomatoes, salt, pepper and basil. Let simmer. If your pot of water is now boiling, cook the lasagna noodles according to package al dente directions. Remove it from water immediately after it hits the al dente stage. You want them flexible enough to roll, but if they're too soft they will fall apart. They will also continue cooking in the oven later. Meanwhile, while noodles are cooking, prepare the White Alfredo Sauce. Place all ingredients into a high speed blender and puree until smooth. Set aside. In a large bowl, mix together all of the filling ingredients. Pour about 1/4 cup of the marinara sauce in the bottom of 9x13 pan. When noodles are done, lay them out flat on a cutting board or work surface. Place the filling all along the length of the noodle leaving an inch or two at the end...should be about 2-3 tbsp of filling each. Gently roll up each noodle. Be careful not to press down or roll too tightly (if you do, the filling will squish out). Place each rollup in the pan. Cover them with the remaining marinara (though you may not use it all). Bake for about 30 minutes until heated through. ~I almost always press firm tofu, but in this case I don't think you need to. However, feel free to do so if you like. I don't believe it will change the result. 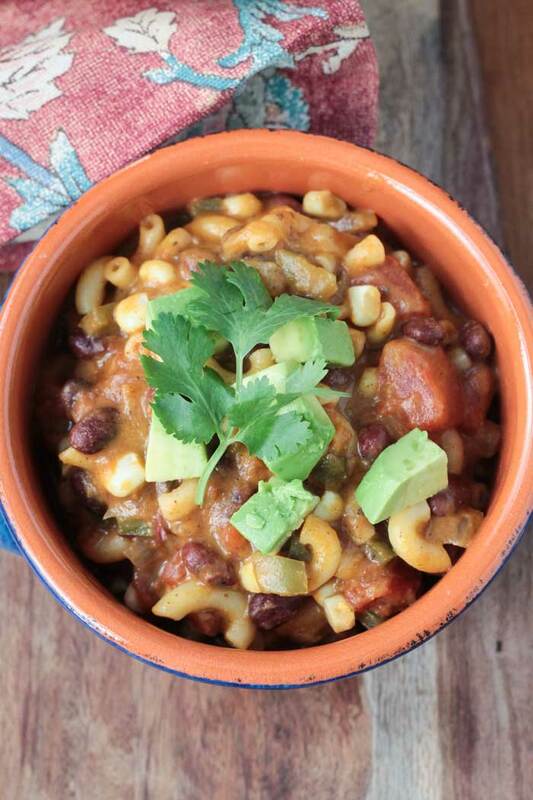 *I also want to thank everyone who voted for the December 2014 Virtual Vegan Potluck best dishes. I WON for Featured Ingredient and took 2nd in Appetizers! It was a lot of fun participating in such a delicious event. See my winning recipe – Vegan Dilled Ceviche. Congratulations to all of the winners! hey!I was wondering how much ‘1/2 package of tofu’ weighs? cos i live in a different country so the weighs will probably be different,and i don’t wanna ruin the measurements while making this . Hi, Nicole! Thanks for stopping by! Packages of tofu here run between 15-19 oz. I honestly don’t even remember which one I used. I would recommend about 8oz for this recipe, but if you are over/under 1-2 oz, it’s not going to make much of a difference. Let me know how they turn out for you!! Jenn! How fantastic does this look? It looks SO similar to Ricotta that I really had to look twice…tofu! I am SO bookmarking this – I love it when I find recipes for veganized Italian food because Italian food revolves so much around cheese and it’s lovely to see how people find ways to overcome that!!! Thanks, Levan!I use tofu in my Pumpkin and Kale Stuffed Shells too! Those are also the bomb and no one can tell the difference! I’m sure a little nooch would make it even “cheesier” but I try to stay away from the “weird” ingredients if I can so the recipes are accessible to everyone. (Though you will find plenty of noochy things on my site too! ).